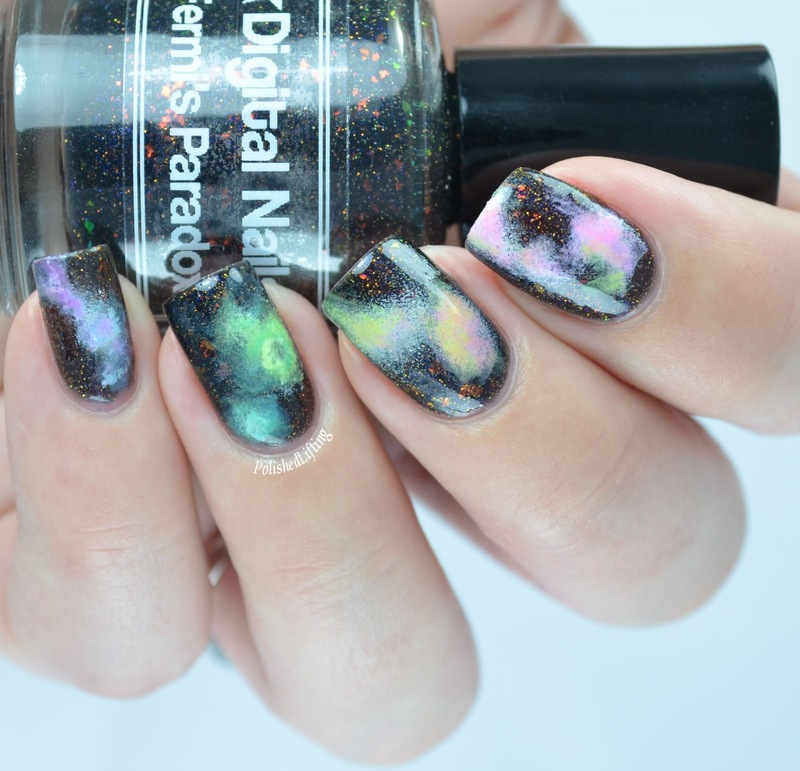 What do you do when you have a space themed polish? 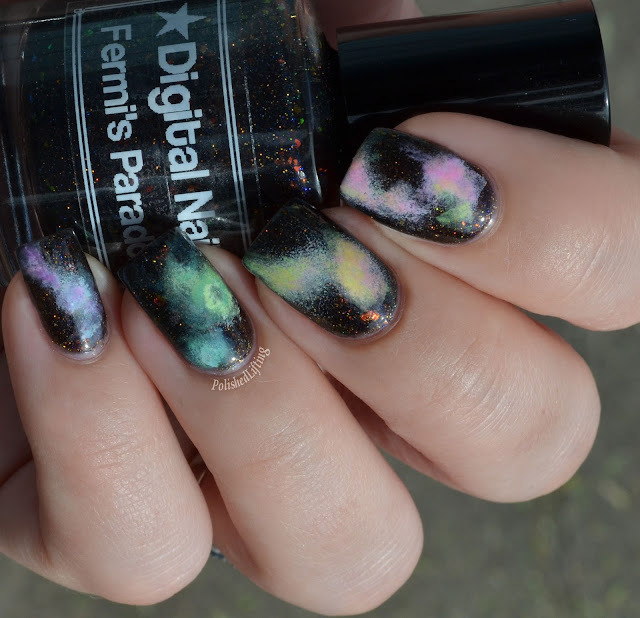 You create a galaxy mani of course! This was a twin mani I did with Jen of Bohemian Polish. We used her Washed Out 2.0 collection for the neon clouds. I've done one other galaxy mani before, and I have to say that I like how both of them turned out. Neon may be less realistic, but I still think it's fun. What's the one nail art trend that you can't seem to get enough of?